If you have forgotten your Innoslate password, you have the option to reset it. From the ‘Sign in to Innoslate’ screen, click the ‘Forgot Password?’ link, located at the bottom right of the dialog. 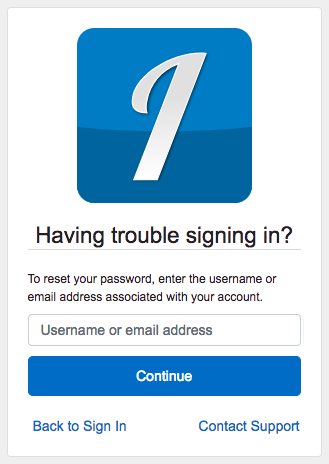 This opens the ‘Having trouble signing in?’ screen, where you can request your Innoslate account password be reset. Type in the ‘Username or email address’ associated with your Innoslate account and click the ‘Continue’ button. If you have an active account with Innoslate and have entered a valid username/email address, you will see an alert within the dialog, letting you know an email has been sent to you with instructions for resetting your password. Check your email; you should receive an email from Innoslate <noreply@innoslate.com> with the subject: “Reset your Innoslate account.” If you don’t see the email, be sure to check your Spam folder, as sometimes these emails can mistakenly end up there. If you still have yet to receive an email from us within two hours, please contact support. 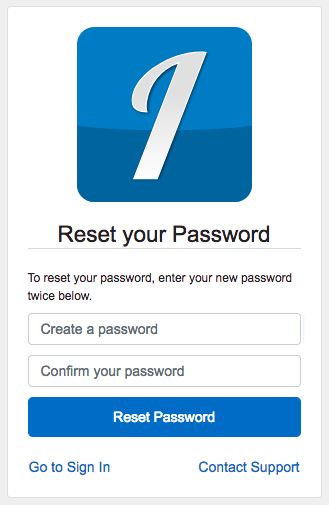 After receiving the reset email from Innoslate, click the link in the email to reset your Innoslate account password. The link will then navigate you to the ‘Reset your Password’ screen, where you will be asked to Create and Confirm your new password. Be sure to enter the same password twice, then click the ‘Reset Password’ button to be redirected to the ‘Sign in to Innoslate’ screen where you can now log in with your username and new password.